BACKLOT | Fast. Simple. Secure. Be Seen. Get Your Tape in the Room. Get your tape in the room. Truth is, most tapes sent have to be downloaded, uploaded, re-labelled and formatted as they travel the long and winding road from Actor to the people making the decisions. BACKLOT streamlines the process of taping, submitting and sharing auditions in an easy to use secure environment right from your mobile device. BACKLOT sends auditions correctly labelled and formatted so you don’t get left behind. Use Backlot to manage your career quickly, easily and securely, from your mobile device. 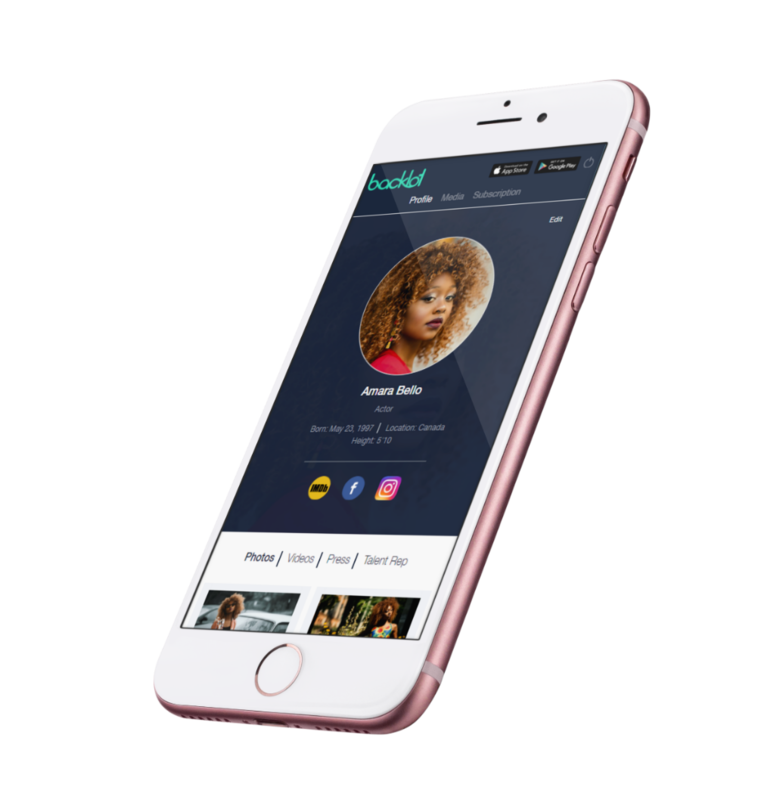 Film and upload your best self-taped auditions anytime, anywhere. See how many times an audition has been viewed and downloaded. Control how long auditions are available for viewing. Organize and track projects, roles, submissions and requests in a secure environment. Securely stream, download and upload auditions. Send audition requests to Actors in your roster. Share auditions in a secure environment. No leaked auditions. Get setup while you wait for coffee. Set up your account in the amount of time it takes you to stand in line for your morning coffee. A couple of clicks and you’re done. Join our mailing list for exclusive offers and news. Be the first to know about upcoming features, updates from BACKLOT. We talked to casting directors, agents, managers, producers, directors, studio execs, and of course, actors. We wanted to develop the best way to send and receive auditions so everyone is happy.